Enjoy some upbeat bluegrass at the Bluegrass Jam Session, a variety of tasty foods at the Upstate Foodie Fest, or enjoy a night at the movies while watching Zootopia. Wednesdays, Fridays & Saturdays – Hagood Creek Petroglyph Site of South Carolina at the Hagood Mill State Historic Site in Pickens. Come see these historical markings open to the public on these days. For more information call (864) 898-2936. Thursdays Through July – Music on Main at Morgan Square in Spartanburg. Enjoy some after work entertainment and fun. For more information call (864) 596-2026 or visit http://www.cityofspartanburg.org/music-on-main. Third Fridays – Contra Dancing at the First Presbyterian Church in Spartanburg. Enjoy an evening of dancing and learning a variety of cultural dances. For more information call (864) 308-1337 or visit https://www.facebook.com/Spartanburg-Contra-Dancers-493231910812229/. Sundays – Sundays Unplugged at the Chapman Cultural Center in Spartanburg. Relax, unwind, and unplug while enjoying the galleries and live entertainment. For more information call (864) 542-2787 or visit http://www.chapmanculturalcenter.org/events. Through August 20 – “Daddy’s Dyin’, Who’s Got the Will” at the Abbeville Opera House in Abbeville. The theatrical event will be heart-warming, as well as comical. For more information call (864) 366-2157 or visit http://www.theabbevilleoperahouse.com/Shows. Through August 27 – Depot PICKinn at Commerce Park in Fountain Inn. Enjoy some good live entertainment on Saturdays in the Park. For more information call (864) 724-8045 or visit https://www.fountaininn.org/special-events.html. August 17 – Reedy River Concert: “Roxy Pays the Rent” at the TD Stage in Greenville. Food Truck vendors for this event will be The Automatic Taco and The Nomadic Few. For more information call (864) 467-3000 or visit http://www.greenvillesc.gov/CivicAlerts.aspx?AID=577. August 18 – “Karen Peck and New River” at the Liberty Civic Auditorium in Liberty. This group was nominated for a Grammy four times and was a four time GMA Dove Award Winning Southern Gospel Group. For more information call (864) 898-5963 or visit http://www.libertycivicauditorium.com/event/karen-peck-and-new-river/. August 18 – 20 – Spittoono XXXVI at 1569 Eighteen Mile Road in Central. Enjoy a weekend filled with some of the best entertainment in the area. For more information visit http://visitclemson.com/events/event/spittoono/. August 18 – 28 – Upstate Foodie Fest at a variety of locations in Greenville. Enjoy specials at a number of restaurants during Greenville’s restaurant week. For more information visit https://www.facebook.com/UpstateFoodieFEST/. August 19 – Movie Night at Wren Park: “Zootopia” at Wren Park in Anderson. End your weekend with a fun family movie everyone is sure to enjoy! For more information call (864) 231-2232 or visit http://web.andersonscchamber.com/events/Movie-Night-in-Wren-Park-3461/details. August 20 – Sunrise Battlefield Tour at Musgrove Mill State Historic Site in Clinton. Experience the Battle at Musgrove 235 years after it’s’ occurrence. For more information call (864) 938-0100 or visit http://www.southcarolinaparks.com/products/10003839. August 20 – Battle for the Crown: Battle of the Bands at the Sirrine Stadium in Greenville. Watch the College Bands battle for the number 1 spot. For more information call (864) 603-2455 or visit http://www.battleforthecrown.org/. August 20 – “The Rolling Waterwheel Gospel Revue” at the Hagood Mill and Historic Site and Folklife Center in Pickens. This will be an old time camp style sing-a-long of all those gospel songs you grew up singing. For more information call (864) 898-2936 or visit https://www.ccprc.com/2038/Cast-Off-Fishing-Tournaments. August 20 – Celebrate the 50’s and 60’s at the Laurens County Museum in Laurens. Enjoy music from this time period, a cruise-in, dancing, and good food. For more information call (864) 350-1365 or visit https://www.facebook.com/laurenscountymuseum/. August 21 – Earth Market at the Swamp Rabbit Café and Grocery in Greenville. Enjoy produce and food brought directly from the producer providing fair pricing and supporting the local economy. For more information call (864) 255-3385 or visit http://www.slowfoodupstate.com/earthmarket.htm. August 22 – Farm to Fork Dinner and Fundraiser at the Arts Center of Greenwood. Enjoy a grand buffet dinner filled with fresh local produce, meat, and game prepared by local guest chefs. For more information call (864) 388-7800 or visit http://www.greenwoodscchamber.org/events/details/farm-to-fork-dinner-fundraiser-5528. August 23 – “Seal” at the Peace Center in Greenville. A multigenerational artists that connects with you on a human level, who produced 9 studio albums, and who won the prestigious BRIT Award for “Best British Male” For more information call (864) 467-3000 or visit http://www.peacecenter.org/events/detail/seal. August 25 – Samsara Summer Art Movies at the Spartanburg Art Museum in Spartanburg. This production was created over a 5 year period and in 25 countries where they searched for the elusive interconnection that runs through our lives. For more information call (864) 582-7616 or visit http://www.spartanburgartmuseum.org/spartanburg-art-news/260/SAMSARA+-+Summer+Art+Movies. August 25 – September 5 – Upper South Carolina State Fair at the Upper South Carolina State Fairgrounds and Greenville Pickens Speedway in Greenville. It’s that time of year again to come out and enjoy amusement rides, games, Fiske fries, corn dogs, live entertainment, and so much more! For more information call (864) 269-0852 or visit http://www.upperscstatefair.com/. August 26 – Rock the River Concert Series: “The Revivalists” at the Peace Center Amphitheatre in Greenville. Come out for the last of the series and enjoy a fun evening with family and friends! For more information call (864) 679-9214 or visit http://www.peacecenter.org/events/td-stage-summer-nights. August 26 – 27 – Williamston Spring Water Festival at Mineral Spring Park in Williamston. Come out for a weekend of live music with special guest star “T.G. Shephard”. For more information call (864) 847-7361 or visit http://springwaterfestival.com/. August 26 – 28 – Switch-a-roos Consignment Sale at the Spartanburg Memorial Auditorium. This children’s consignment sale will surely provide you with some great items at great prices. For more information visit http://www.switcharoosconsignment.com/. August 27 – Flight of the Dove Cycling Event at the Bailey Memorial Stadium at Presbyterian College in Clinton. There will be a 50 mile and 30 mile ride, as well as a 13.7 Family Leisure Ride. For more information call (864) 833-6287 or visit http://www.hospiceoflaurenscounty.com/Flightofthedove.html. August 27 – Mutt Strut Two-Mile Walk/Run at Greenville Tech’s Barton Campus in Greenville. The race will begin and end at the Mutt Market and will include free food, live music, and live doggie entertainment. For more information call (864) 242-3626 or visit http://www.ghsmuttstrut.com/faf/home/default.asp?ievent=1161574. August 27 – Olde South Ball at the Spartanburg Marriott in Spartanburg. This Civil War period Ball will be filled with fun fellowship, dancing, and good food. For more information call (864) 244-2732 or visit http://oldesouthball.blogspot.com/. August 27 – Pasta for Pups at Roberts Presbyterian Church in West Anderson. Bring your dog, enjoy good pasta, purchase homemade dog treats, with the proceeds from this event going to the building of Hyco’s Run Dog Park which will include an area for both large and small dogs, and will be in memory of Hyco, the fallen ASCO K9 hero. For more information call (864) 225-9950 or visit http://www.robertspresbyterian.org/events/upcoming-activities. August 27 – Pendleton Place 5K at Falls Park in Greenville. This is a 5K road race that includes a kid fun run. For more information call (864) 467-3650 or visit https://fitfam.com/events/k-race-for-pendleton-place-greenville-2016. August 27 – “Tavernier & Anthony: Teenage Pianists” at the Chapman Cultural Center in Spartanburg. These two very talented pianists will provide you with an evening of tremendous entertainment. For more information call (864) 542-2787 or visit https://www.chapmanculturalcenter.org/pages/calendar/detail/event/c/e250/. September 2 – 3 – 1Spark! Festival at the Chapman Cultural Center in Spartanburg. The event begins with a Chalk-off to see who is the most talented sidewalk chalk artist and continues with a culinary art presentation challenge and a Creativity Challenge that will include a variety of artists and creators. For more information call (864) 542-2787 or visit https://www.chapmanculturalcenter.org/one-spark/. September 2 – 11 – “Beverly Hillbillies” at the Easley Foothills Playhouse in Easley. This theatrical rendition of America’s favorite “rags to riches” story will be guaranteed to make you laugh until it hurts. For more information call (864) 855-1817 or visit http://www.fhplayhouse.com/wordpress/production/beverly-hillbillies/. September 3 – Musgrove Mills Battlefield Guided Hike at the Musgrove Mill State Historic Site in Clinton. Take a guided hike on the Battlefield Trail and learn about the battle that was a turning point in the Colonist’s winning the Revolutionary War. For more information call (864) 938-0100 or visit http://www.southcarolinaparks.com/products/10004161. September 4 – 5 – Bacon Labor Day at the Simpsonville City Park in Simpsonville. Enjoy live entertainment, refreshments, and of course, lots of bacon! For more information call (864) 423-8074 or visit http://baconlaborday.com/. September 4 – Swine and Dine Summer Pig Pull for Charity at the Roost Restaurant in Greenville. This is a pig pull to benefit the Culinary Institute of the Carolinas, Sustainable Agriculture Program at Greenville Technical College. For more information call (864) 298-2424 or visit http://roostrestaurant.com/swine-dine/. September 6 – 10 – South Carolina Apple Festival at a variety of locations around Westminster. This event will include a parade, a golf tournament, a rodeo, an arts and crafts show, a quilt show, a Chattooga river float, live entertainment, an apple baking contest, and so much more! For more information visit http://scapplefestival.com/events.html. Fourth Saturdays – Bluegrass Series at Haynes Auditorium in Batesburg-Leesville. Add a little Bluegrass music to your month. For more information call (803) 582-8479 or visit http://www.haynesbluegrass.com/. Fourth Saturdays – Mountain Dulcimers of Aiken at the Aiken Visitors Center and Train Museum in Aiken. Join these musicians or just enjoy the music, but be sure to stop by and be entertained by these mountain instruments and those who enjoy playing them. For more information call (803) 293-7846 or visit http://www.visitaikensc.com/calendar/event/the_mountain_dulcimers_of_aiken. Saturdays – Hour Long Historic Train Ride at the South Carolina Railroad Museum in Winnsboro. Ride an old passenger train from the dining car, a passenger car, or even the caboose. For more information call (803) 635-9893 or visit http://www.scrm.org/welcomepage.html. Saturdays weather permitting – Aiken Trolley Tours at the Aiken Visitors Center and Train Museum. Explore Aiken’s charm, grace, and elegance with one of these two hour tours. For more information call (803) 644-1907 or visit http://www.visitaikensc.com/calendar/event/aiken_historic_tour. Through August 21 – “Hillbilly Hankerin’” at the Rock Hill Community Theatre in Rock Hill. This new play will fill your evening with hysterical laughter. For more information call (803) 326-7428 or visit http://www.rockhilltheatre.org/. Mondays Through August – Hopelands Summer Concert Series at Hopelands Gardens in Aiken. For more information call (803) 642-7654 or visit http://www.visitaikensc.com/calendar/event/hopelands_summer_concert_series2. Through September 10 – Dinosaur Revolution Maze at the Museum of York County in Rock Hill. This maze is an interactive learning experience about dinosaurs for all ages. For more information call (803) 329-2121 or visit http://www.chmuseums.org/news/263/. Through November 24 – Downtown Market in downtown Sumter. Find fresh food, produce, arts and crafts, and more. For more information call (803) 436-2500 or visit http://www.sumtersc.gov/downtown-market.aspx. Through October 29 – “The Gospel According to Tennessee” at the NarroWay Theatre and Conference Center in Fort Mill. This dinner theatre show is set in 1926 and is based on a true story of fun in East Tennessee. For more information call (803) 802-2300 or visit https://narroway.net/schedule#year=2016&month=8&day=1&view=month. August 17 – “TOTO” at the Old Towne Amphitheater in Rock Hill. With over 38 years together, this band continues to be one of the top favorite bands in the world. For more information call (803) 329-8756 or visit http://onlyinoldtown.com/do/featured/29/view/schedule/311/old-town-welcomes-toto. August 18 – ASC Greenway Summer Concert Series: “Henry River Honey” at the Anne Springs Close Greenway in Rock Hill. Bring a chair or a blanket and a picnic basket, or partake in purchasable cold beverages, food truck vendors, all while enjoying a relaxing evening of live entertainment. For more information visit http://www.ascgreenway.org/events/detail/summer-concert-series-32. August 19 – Water Ski Show: Carolina Show Ski Team at Windjammer Beach Park in Tega Cay. This “Broadway on Water” event will provide you with a fun and entertaining day in the sun. For more information call (980) 999-2778 or visit https://carolinashowski.org/events/water-ski-show-2-2016-08-12/. August 19 – Food Truck Friday in Old Town at Fountain Park in Rock Hill. Enjoy food from the best food trucks in the area, as well as Old Town restaurants, local beers and wines, lots of children’s activities and live entertainment. For more information call (803) 329-8756 or visit http://onlyinoldtown.com/do/featured/45/food-truck-fridays-fountain-park. August 19 – 20 – Scheutzenfest in downtown Ehrhardt. Event will include a pageant, live entertainment, street dances, rides, and more all to honor the opening of hunting season, the reason for the name of the event. For more information call (803) 267-5335 or visit http://www.bandsintown.com/venue/3441197-schuetzenfest-ehrhardt-sc-tickets-and-schedule. August 20 – Aiken Arts Alive at the Aiken Center for the Arts in Aiken. Event will include music, crafts, photos, face painting, artist demonstrations, and more. For more information call (803) 293-7846 or visit http://www.visitaikensc.com/calendar/event/aiken_arts_alive2. August 20 – Kick-off Carnival for Walk to End Alzheimer’s at the Western Carolina State Fairgrounds in Aiken. This carnival is in preparation of this special walk and will include games, food, and live music. For more information call (803) 293-7846 or visit http://www.visitaikensc.com/calendar/event/walk_to_end_alzheimers_kickoff_carnival. August 20 – Depot Jam at the Aiken Visitors Center and Train Museum. Enjoy live bluegrass music. For more information call (803) 293-7846 or visit http://www.visitaikensc.com/calendar/event/bluegrass_at_the_depot. August 20 – Springdale 5K at Sunrise at the Springdale Race Track in Camden. This run or walk event will help raise money for the United Way of Kershaw County health initiatives. For more information visit http://springdale5k.com/. August 20 – All Aboard the BBQ Dinner Train at the South Carolina Railroad Museum in Winnsboro. Enjoy a train ride through the country in an open air car while enjoying a delicious BBQ dinner. For more information call (803) 635-9893 or visit http://scrm.org/ridethetrainpage.html. August 20 – “Idlewild South: The Allman Brothers Tribute” at the Sylvia Theater in York. Enjoy an evening of southern rock with this tribute band. For more information call (803) 684-5590 or visit http://sylviatheatre.com/. August 20 – Food Truck Rally & Entertainment at Runde Park in Tega Cay. Enjoy live entertainment by “Sonic Rewind” while feasting on food from a multitude of food truck vendors. For more information call (803) 548-3787 or visit http://www.tegacaysc.org/1339/Summer-Food-Truck-Rallies. August 22 – Hopelands Summer Concert: “Swingsation” at the Hopelands Gardens in Aiken. End your Monday night with some fun entertainment in these beautiful Gardens. For more information call (803) 642-7631 or visit http://www.visitaikensc.com/calendar/event/hopelands_summer_concert_series2. August 25 – Wild West Barbecue Mystery Dinner Show at the Narroway Theatre in Ft. Mill. Enjoy a fun evening of good food and figure out “who dunn’ it”. For more information call (803) 802-2300 or visit https://narroway.net/mystery-theater/wild-west-show. August 25 – “James Gregory” at the Sylvia Theater in York. Enjoy an evening of laughter with the funniest man alive! For more information call (803) 684-5590 or visit http://sylviatheatre.com/wp-content/uploads/2013/03/944885_1016774595055537_8557059807416927735_n.jpg. August 25 – 26 – Sandy Oaks Pro Rodeo at the Lazy J Arena in Edgefield. See bronc riding, bull riding, barrel racing, roping, and more. For more information call (803) 480-0045 or visit http://www.sandyoaksprorodeo.org/. August 27 – ACA Fall Fling at the Aiken Center for the Arts in Aiken. Adults and older teens can come to the center for free mini classes in four different media to try your hand at something different. For more information call (803) 293-7846 or visit http://www.visitaikensc.com/calendar/event/fall_fling_at_aiken_center_for_the_arts. August 27 – The Big Float at the North Augusta Boat Ramp in North Augusta. Enjoy a leisurely float down the Savannah River in a canoe, kayak, raft, inner tubes, or paddleboard with a homemade raft competition to be included as well, all followed by good food, refreshments, and life entertainment. For more information call (803) 706-8991 or visit http://www.savannahriverkeeper.org/the-big-float-2016.html. August 27 – Last Saturday at the Park at the Living History Park in North Augusta. Visit the park to view living history demonstrations and have the opportunity to ask questions. For more information call (803) 279-7560 or visit http://www.colonialtimes.us/events.html. August 27 – “Sugarloaf Mountain Boys” at the Haynes Auditorium in Leesville. Participate in the jam session, open stage, or just come out and enjoy some great bluegrass from this great band. For more information call (803) 582-8479 or visit http://www.haynesbluegrass.com/. August 27 – Summerfest in downtown York. This enjoyable event will include over 120 craft and art vendors, lots of great food, three stages of live entertainment, helicopter rides, and so much more! For more information call (803) 684-2590 or visit http://www.yorksummerfest.com/. August 29 – Hopelands Summer Concert Series: “Aiken Concert Band” at Hopelands Gardens in Aiken. Enjoy a relaxing evening while enjoying the last concert of the season. For more information call (803) 642-7654 or visit https://www.cityofaikensc.gov/2016-hopelands-gardens-concert-series/. September 1 – “Anne Rauton Smith Exhibit” at the Aiken County Visitors Center in Aiken. Be sure to come view the work of this talented artist. 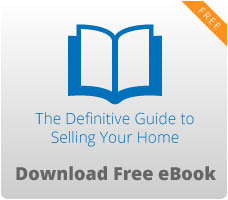 For more information call (803) 642-7557 or visit https://upto.com/e/gGXBO. September 2 – 17 – “Beauty and the Beast” at the Aiken Community Playhouse in Aiken. You will surely enjoy this theatrical rendition of the famous Disney story. For more information call (803) 648-1438 or visit http://aikenplayhouse.us/shows/2016-2017-season/beauty-and-the-beast/. September 3 – Butts and Bluegrass BBQ Festival at Clover Community Park in Clover. Enjoy a day filled with lots of BBQ and good ole’ bluegrass music. For more information call (803) 222-9495 or visit http://www.cloversc.org/pView.aspx?id=16363&catid=292. September 3 – Civil War Event Series: “Herbert Chambers” at the Rivers Bridge State Historic Site in Ehrhardt. After a battlefield tour, this historic researcher and author will provide a presentation on the 20 years of research he has done on the soldiers that died in South Carolina during the Civil War. For more information call (803) 267-3675 or visit http://southcarolinaparks.com/riversbridge/riversbridge-programs.aspx. September 3 – 5 – Chapin Labor Day Festival in downtown Chapin. Spend your holiday weekend enjoying a parade, a 5K, live entertainment, a car show, great food, and more! For more information call (803) 345-2444 or visit http://www.chapinsc.com/179/2016-Labor-Day-Festival-Parade. September 4 – Southern 500 NASCAR Race at the Darlington Raceway in Darlington. This is the only NASCAR race in South Carolina, so come on out for a great day of racing fun! For more information call (866) 459-7223 or visit http://www.darlingtonraceway.com/Events/Bojangles-Southern-500.aspx. Daily – “Day in the Life of a Sailor” at Charles Towne Landing State Historic Site in Charleston. Board the 17th Century sailing ketch and learn about the trade and travel of that period. For more information call (843) 852-4200 or visit http://www.southcarolinaparks.com/products/10003481. Daily – History Tours at the Old Exchange & Provost Dungeon in Charleston. Learn about the history of the Old Exchange, which presents an array of relics from the Civil and Revolutionary Wars, as well as a fun tour of the Provost Dungeon while hearing stories of pirates and patriots. For more information call (888) 763-0448 or visit http://oldexchange.org/planavisit/. Thursdays – “The Civil War Era” at the Coastal Discovery Museum on Hilton Head Island. Learn a little about Hilton Head’s part in the history of the Civil War. For more information call (843) 689-6767 ext. 223 or visit http://www.coastaldiscovery.org/home/discover-and-learn/site-tours-programs/. Fridays thru Tuesdays – Guided House Tours at Hampton Plantation State Historic Site in McClellanville. Learn about the prominent Colonial families that lived in the home and about the construction of the homes of that period. For more information call (843) 546-9361 or visit http://www.southcarolinaparks.com/products/10002645. Saturdays – Honey Horn Nature Walk at the Coastal Discovery Museum on Hilton Head Island. Enjoy a tour of some of the natural areas, as well as the gardens, at this beautiful site. For more information call (843) 689-6767 ext. 223 or visit http://www.coastaldiscovery.org/event-registration/?ee=3398. Saturdays – Snakes and Reptiles at Huntington Beach State Park in Murrells Inlet. Learn about these secretive animals while learning about their benefit in nature. You’ll even get the chance to touch one of these fascinating creatures. For more information call (843) 237-4440 or visit http://southcarolinaparks.com/products/10002642. Through August 21 – “A Chorus Line” at the Footlight Players Theater in Charleston. This Pulitzer Prize winning drama and Tony Award winning musical is one you must see. For more information call (843) 722-4487 or visit http://footlightplayers.net/. Through August – Music on Main on Main Street in North Myrtle Beach. For more information call (843) 280-5570 or visit http://www.myrtlebeach.com/myrtle-beach-events/show/music-on-main-concert-series/. Through September 5 – “Nature Connections” LEGOS Bricks Sculpture Exhibit at Brookgreen Gardens in Murrells Inlet. Sculptures using more than a half a million bricks were used to make this nature exhibit. For more information call (843) 235-6000 or visit http://www.brookgreen.org/calendar_june.html. Through October 1 – “The History of Fishing” at the South Carolina Maritime Museum in Georgetown. Learn about the history of the large fish that use to be caught and how many have been caught to extinction. For more information call (843) 520-0111 or visit http://scmaritimemuseum.org/new-exhibit-the-history-of-fishing. Through November 26 – Charleston Farmers Market in Marion Square in downtown Charleston. You will find fresh produce, herbs, crafts, freshly made breakfast items, live entertainment and more. For more information call (843) 724-7309. Through December 17 – Artists and Artisans Night Market at the Charleston City Market in Charleston. Find an array of hand-crafted and original items along with music and entertainment covering three blocks of Market Street. For more information call (843) 327-5976 or visit http://www.thecharlestoncitymarket.com/. August 17 – “Train” with “Andy Grammer” at the Family Circle Tennis Center (now Volvo Car Stadium) on Daniel’s Island. Enjoy an outdoor concert with this popular alternative rock band. For more information call (843) 849-5314 or visit http://www.familycircletenniscenter.com/concerts/. August 18 – “Wedding Bells for a Southern Belle” at the House of Blues in Myrtle Beach. This is a dinner theatre event where the audience becomes the wedding guests, with the reception featuring a three course Italian meals. For more information visit http://www.houseofblues.com/myrtlebeach/events/eventdetail/?viewNav=/event-detail&eventId=&oid=31610. August 18 – Music on Main Concert Series: “Blackwater Rhythm & Blues Band” at the Horseshoe in North Myrtle Beach. Spend a relaxing evening after work with some enjoyable live entertainment. For more information call (843) 280-5570 or visit http://www.myrtlebeach.com/myrtle-beach-events/show/music-on-main-concert-series/. August 19 – Bluffton Sunset Party at the Bluffton Oyster Factory Park in Bluffton. Enjoy live music on the river, face painting, a kidz zone, lots of food and refreshments, and more. For more information call (843) 757-8520 or visit http://www.blufftonsunsetparty.com/. August 19 – “Needtobreathe” at the Family Circle Tennis Center (now Volvo Car Stadium) on Daniel’s Island. Enjoy an evening of great heartfelt songs with this classic new band. For more information call (843) 849-5314 or visit http://www.familycircletenniscenter.com/concerts/. August 19 – Moonlight Mixer at the Folly Beach Pier in Folly Beach. Dance the night away with DJ Jim Bowers who will play all your favorite oldies and favorite beach music classics. For more information call (843) 795-4386 or visit https://www.ccprc.com/1618/Moonlight-Mixers. August 19 – Sounds of Summer Concert Series: “Too Much Sylvia” at the North Myrtle Beach Park and Sports Complex in North Myrtle Beach. Playing a variety of music, you will surely enjoy a relaxing end of your work week evening. For more information call (843) 280-5570 or visit http://www.myrtlebeach.com/myrtle-beach-events/show/sounds-of-summer-concert-series/. August 19 – Special Needs Prom at the Bees Landing Recreation Center in Charleston. This event is for special needs individuals, their family members, and/or caregivers and will provide them with an evening of refreshments, music, and dancing. For more information call (843) 795-4386 or visit http://www.charlestoncitypaper.com/charleston/special-needs-prom/Event?oid=6018641. August 20 – “Head Games: A Foreigner Tribute” at the House of Blues in Myrtle Beach. For all you Foreigner fans, this one’s for you! For more information visit http://www.houseofblues.com/myrtlebeach/EventDetail?tmeventid=0E0050F5FED7A699&offerid=29645. August 20 – Fables, Legends, and Lore of the Lowcountry at the Morris Center for Lowcountry Heritage in Ridgeland. This is a presentation and book signing by Charleston native, Sherman Carmichael, whose book offers a unique and often over-looked depiction of South Carolina history. For more information call (843) 284-9227 or visit http://www.morrisheritagecenter.org/. August 20 – Cast Off Fishing Tournament at the Folly Beach Pier in Folly Beach. Enjoy some great fishing, beautiful views, and great fun. For more information call (843) 762-9516 or visit https://www.ccprc.com/2038/Cast-Off-Fishing-Tournaments. August 21 – “Donovan Frankenreiter” with “John Shields” at the Music Farm in Charleston. Enjoy some good music with a variety of flavors. For more information visit http://www.musicfarm.com/event/1102905-donavon-frankenreiter-charleston/. August 21 – Sweet Reggae Sundays with “Signal Fires” and “jJah Works” at the House of Blues in Myrtle Beach. Savor your beach vacation by adding some good island music. For more information visit http://www.houseofblues.com/myrtlebeach/events/eventdetail/?viewNav=/event-detail&eventId=&oid=32085. August 22 – South Carolina’s Largest Garage Sale at the Myrtle Beach Convention Center in Myrtle Beach. Come out to see what special finds you can luck out on at this fun shopping event! For more information call (800) 537-1690 or visit http://www.cityofmyrtlebeach.com/garagesale.html. August 25 – “On the Border: The Ultimate Eagles Tribute” at the House of Blues in Myrtle Beach. Fill your evening with all your favorite classic Eagles songs! For more information visit http://concerts.livenation.com/event/0E0050F9E79AB13D. August 25 – Music on Main: “Special Blend” on Main Street in North Myrtle Beach. Spend an evening watching the sunset and enjoying live entertainment. For more information call (843) 280-5570 or visit http://parks.nmb.us/festivalsevents/concerts/music-on-main-concert-series/. August 25 – 27 – New Music Confab Showcase at the Music Farm in Charleston. Hear a variety of new bands and musicians over this weekend event. For more information visit http://www.musicfarm.com/event/1192923-new-music-confab-showcase-1-charleston/. August 26 – Drive-In Movies: “Teen Beach Movie” at the Island Rec Center on Hilton Head Island. Enjoy an old fashioned drive in movie that is sure to entertain the entire family. For more information call (843) 681-7273 or visit http://www.islandreccenter.org/community-events/teen-beach. August 27 – Close Encounters of the Bird Kind at Charlestowne Landing State Historic Site in Charleston. Learn about the amazing turkey vulture and the special role it plays in the environment. For more information call (843) 852-4200 or visit http://www.charlestoncvb.com/events/close-encounter-of-the-bird-kind-program-at-charles-towne-landing~10666/. August 27 – Hot Nights and Holy City at Middleton Place in Charleston. Located in the Pavilion’s courtyard, the Middleton Place restaurant has paired up with several local breweries, and the S.C. Aquariums Good Catch Program to provide you with a special chef prepared meal, good libations, and wonderful live entertainment. For more information call (843) 556-6020 or visit https://www.middletonplace.org/visiting-middleton-place/events-calendar/305-august-27-hot-nights-holy-city-dinner.html. August 27 – Race for the ARK at St. Luke’s Lutheran Church in Summerville. This is a 5K walk/run and a 1 mile fun run with proceeds from the event to benefit the families of those with Alzheimer’s. 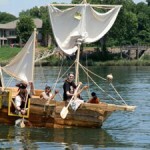 For more information call (843) 832-2357 or visit http://thearkofsc.org/race-for-the-ark-2/. August 27 – “Slippery When Wet: A Tribute to Bon Jovi” at the House of Blues in Myrtle Beach. Here you go Bon Jovi fans! For more information visit http://www.houseofblues.com/myrtlebeach/EventDetail?tmeventid=0E0050F508ACAB77&offerid=29646. August 27 – September 11 – Moncks Corner Juried Art Show at the Old Santee Canal State Park in Moncks Corner. Artists from around the State will compete using a variety of art forms in this two week long competition. For more information call (843) 899-5200 or visit https://www.eventcrazy.com/Moncks-Corner-SC/events/details/2061-Juried-Art-Exhibition. August 30 – “The Original Wailers” at the Music Farm in Charleston. Carrying the torch passed on by Bob Marley, guitarist Al Anderson handpicked a few musicians who have helped him honor the history and integrity of Bob’s music. For more information visit http://www.musicfarm.com/event/1272861-original-wailers-charleston/. September 1 – Music on Main with “Carolina Soul Band” at the Horseshow in North Myrtle Beach. Enjoy an evening of live entertainment and relaxation. For more information call (843) 280-5570 or visit http://parks.nmb.us/festivalsevents/concerts/music-on-main-concert-series/. September 2 – Fall Reggae Jam at the Music Farm in Charleston. If you are a reggae fan, this is an event you won’t want to miss! For more information visit http://www.musicfarm.com/event/1174193-fall-reggae-jam-charleston/. September 2 – 3 – Lands End Woodland River Festival at 100 Lands End Road in St. Helena. This two day family friendly event celebrates the ancestry of the Gullah families hundreds of acres of land in the 1920’s in Lands End Woodland. 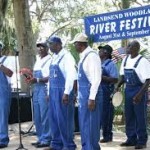 For more information call (843) 263-5261 or visit http://festivalnet.com/61014/Saint-Helena-Island-South-Carolina/Festivals/Lands-End-Woodland-River-Festival. September 2 – 3 – Beach, Boogie, & BBQ Festival at the Horry-Georgetown Technical College Conference Center in Myrtle Beach. This is a BBQ championship that will offer you a variety of BBQ’s to taste with local BBQ sandwiches available, live entertainment, a corn hole competition, and more. For more information visit http://www.myrtlebeacheventinfo.com/beach-boogie-and-bbq.html. September 2 – 4 – Low Country Jazz Festival at the North Charleston Coliseum in North Charleston. Headliners at this event will be “Brian Culbertson, Will Downing, and Peabo Bryson”. For more information call (843) 529-5000 or visit https://www.northcharlestoncoliseumpac.com/events/detail/greater-charleston-lowcountry-jazz-festival-3. September 2 – 5 – Star Spangled Labor Day at the Swamp Fox Entertainment Complex in Marion. Enjoy a weekend filled with fun and great live entertainment, with such bands as “Blood Sweat & Tear”, and “David Allen Coe”. For more information call (843) 206-0862 or visit http://eventful.com/marion_sc/events/star-spangled-labor-day-celebration-/E0-001-094548399-6. September 3 – Dragon Boat Race Day at Waterfront Park in Beaufort. This is a fun annual event in honor of cancer survivors. For more information call (843) 473-4477 or visit http://www.dragonboat-raceday.com/. September 3 – Pocotaligo Point South Festival at the Frampton Plantation Visitors Center in Yemassee. This fun event will include amusement rides, a parade, and this year’s event will include entertainment by the “Imani Milele Children Choir” from Uganda, Africa. For more information call (843) 812-9230 or visit https://www.facebook.com/pocotaligopointsouthfestival/. September 3 – “Shy Glizzy” at the Music Farm in Charleston. Special guests will be “Paige Diamond, Tierra, Jo, Que & Dwill.” For more information visit http://www.musicfarm.com/event/1277579-shy-glizzy-charleston/. September 4 – “Zoso: A Tribute to Led Zepplin” at the House of Blues in Myrtle Beach. For those heavy rockers who loved Led Zepplin, come out and see this show! For more information visit http://concerts.livenation.com/event/0E0050B9C63B4E09.